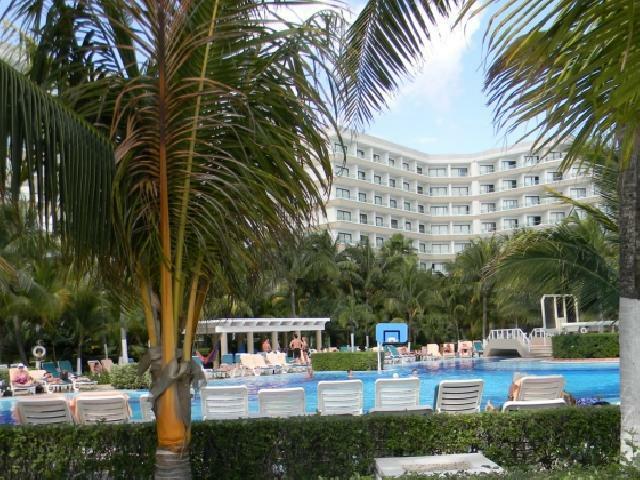 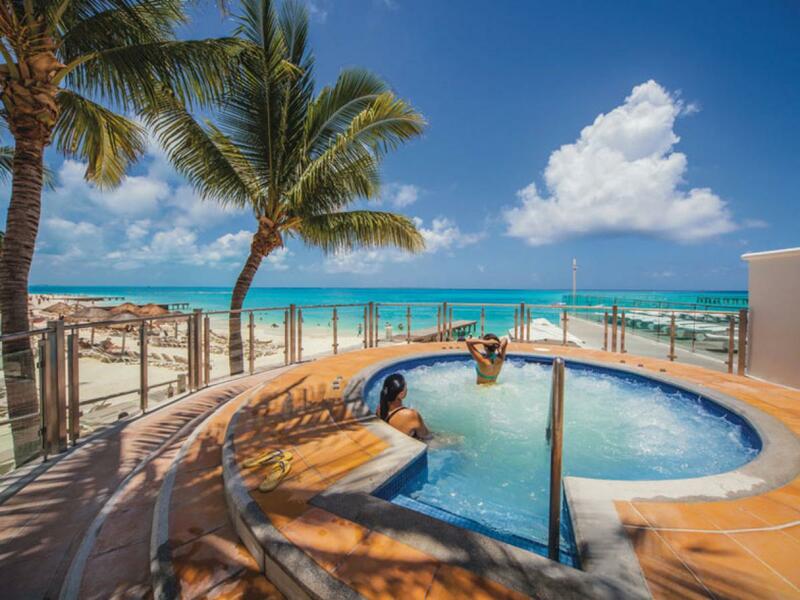 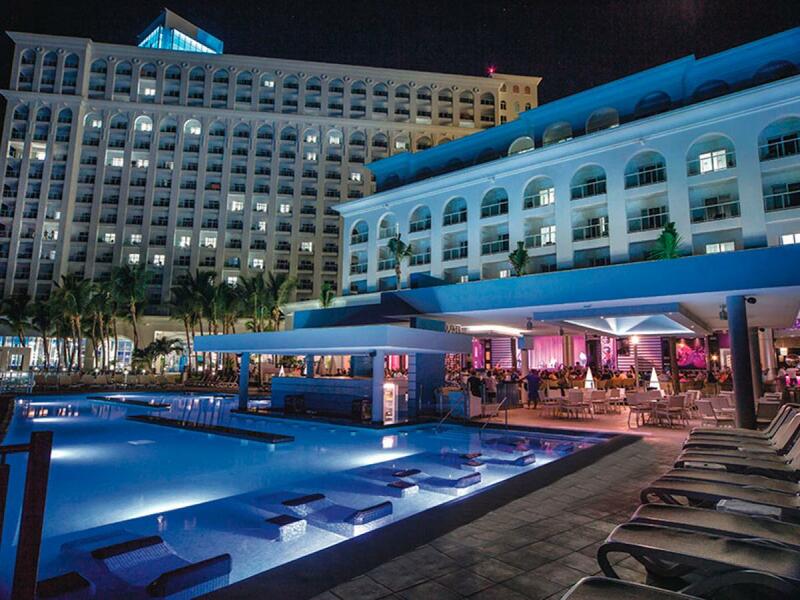 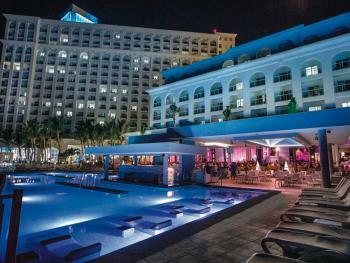 Riu Caribe is a warm and charming resort that ensures memorable holidays to suit all tastes. 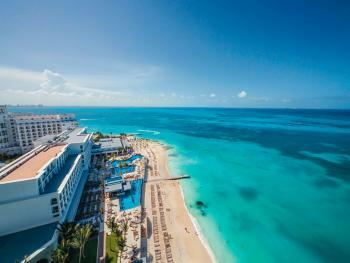 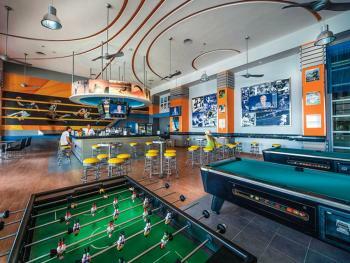 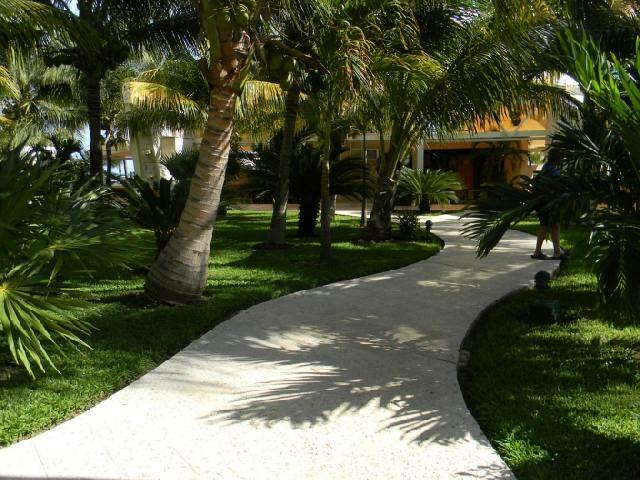 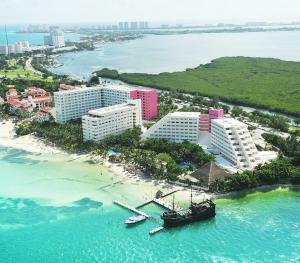 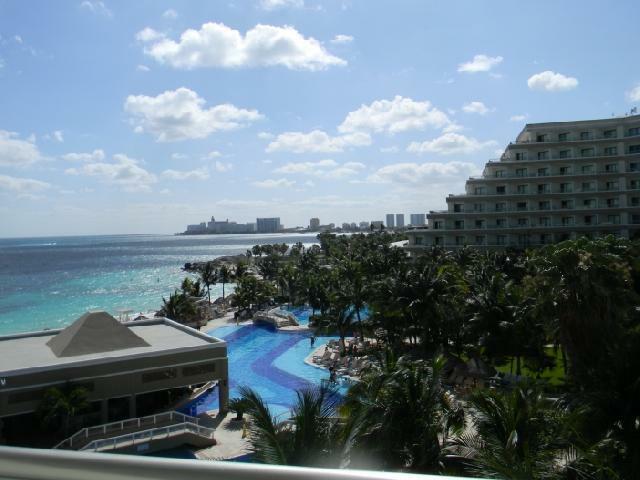 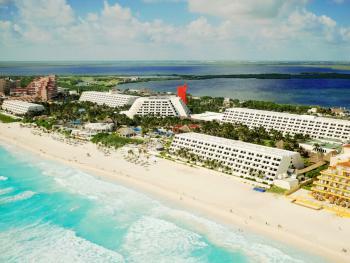 It is located in Cancun s resort area and is a nine storey building on the beach. 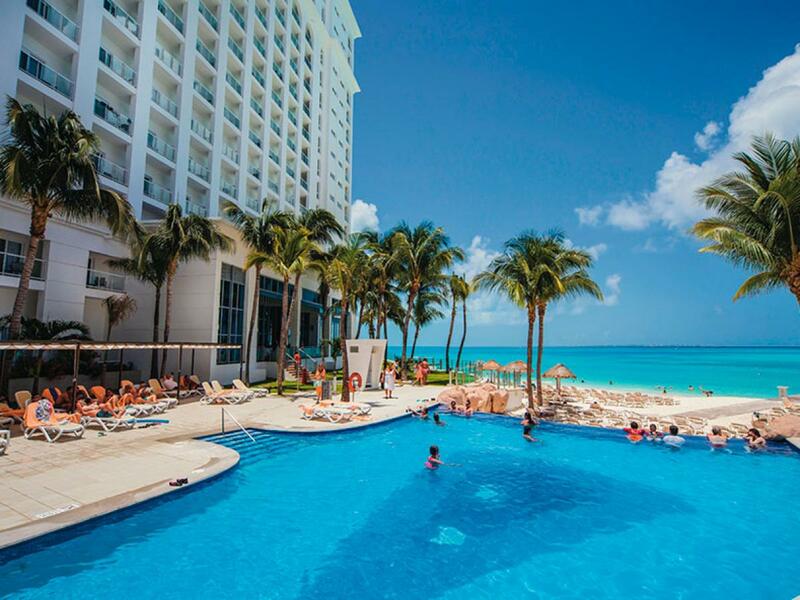 Riu Caribe, with its Mayan-style architecture overlooking the crystal blue waters of the Mexican Caribbean, is the perfect site for a fantastic getaway. From the moment you step foot into the large, open marble-floored lobby, you will be transported to a whole new world. 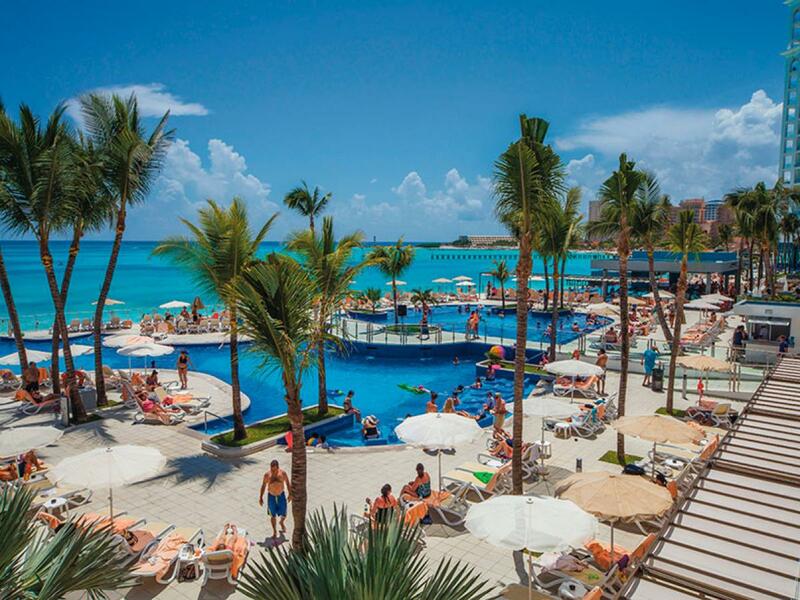 Riu Caribe has 560 luxurious ocean view guestrooms with unique Riu amenities such as a mini-bar and liquor dispenser. 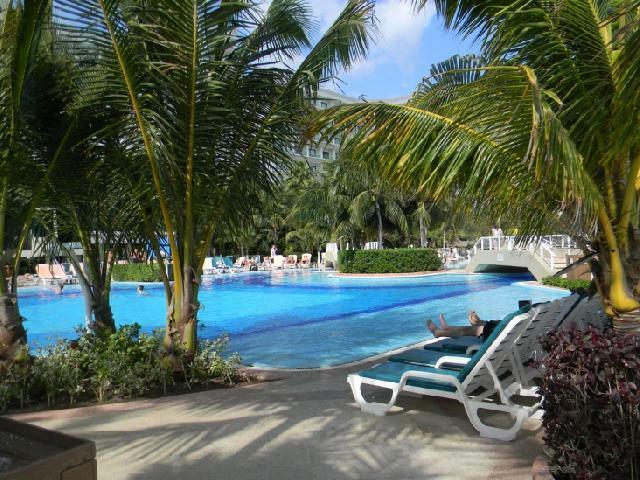 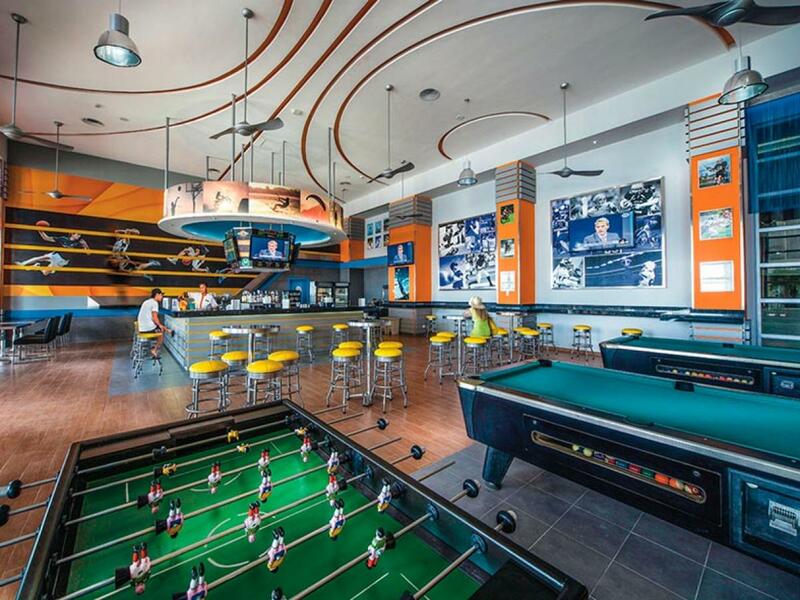 There is a wide array of restaurants, bars and facilities to enjoy, including the 24-hour all-inclusive snacks and beverages area, as well as a fun and relaxing atmosphere created by the large swimming pool and spectacular beach. 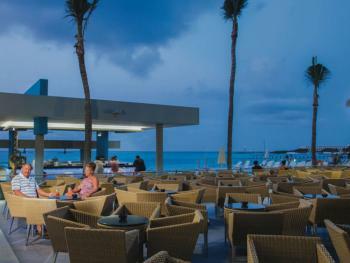 An Asian-, Mexican- and Steak House-style restaurant await you or have some drinks at the theater with live shows each night. 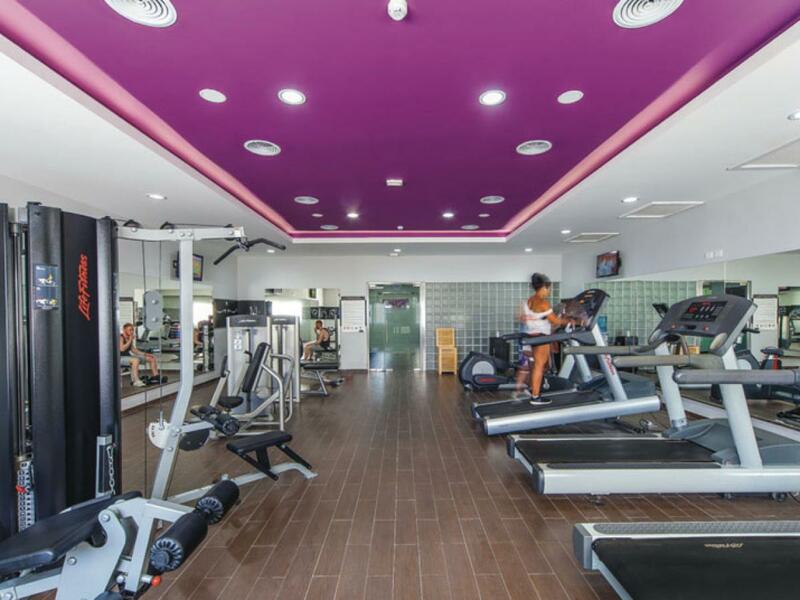 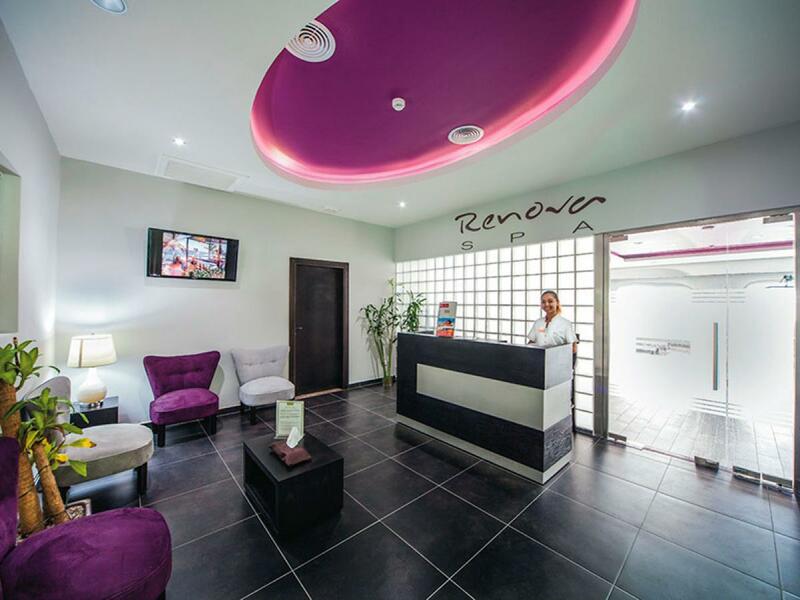 With 7 bars throughout the property, the Renova Spa and the Kids Club to entertain, there is something for everyone here. 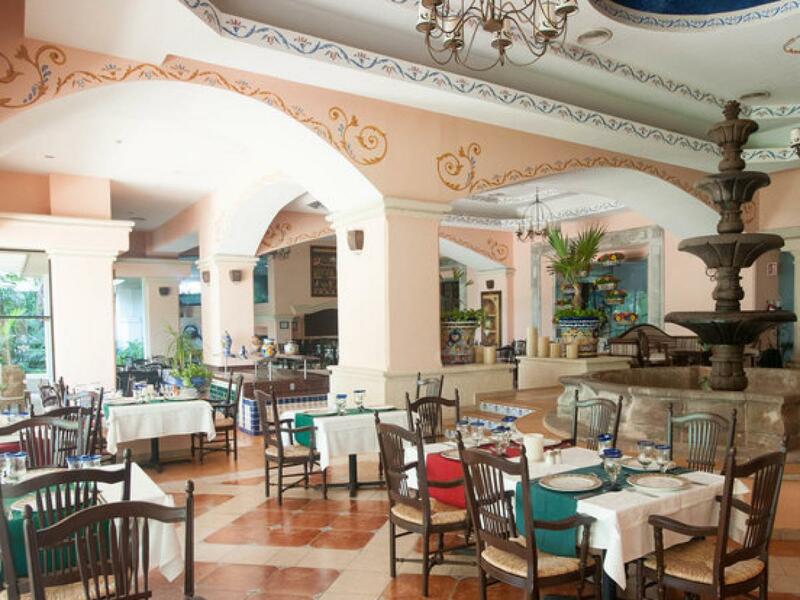 This warm and charming resort ensures memorable holidays to suit all tastes. 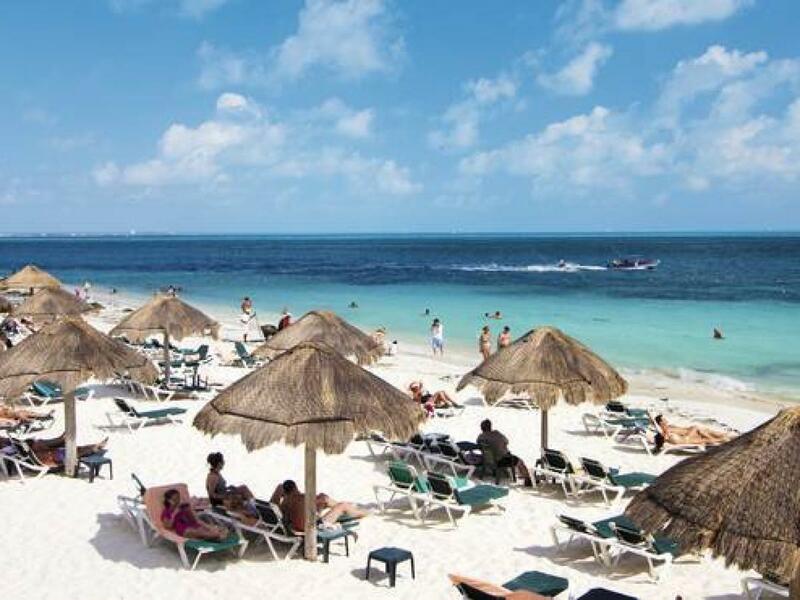 If you want to discover inland Cancun you can go on excursions to see impressive places like the pyramids of Kukulkán in Chichen Itzá, the Turtle Conservation Centre of Isla Mujeres, the archaeological museum, the stage tower, Isla Holbox, the water park and many other sights that are not to be missed. 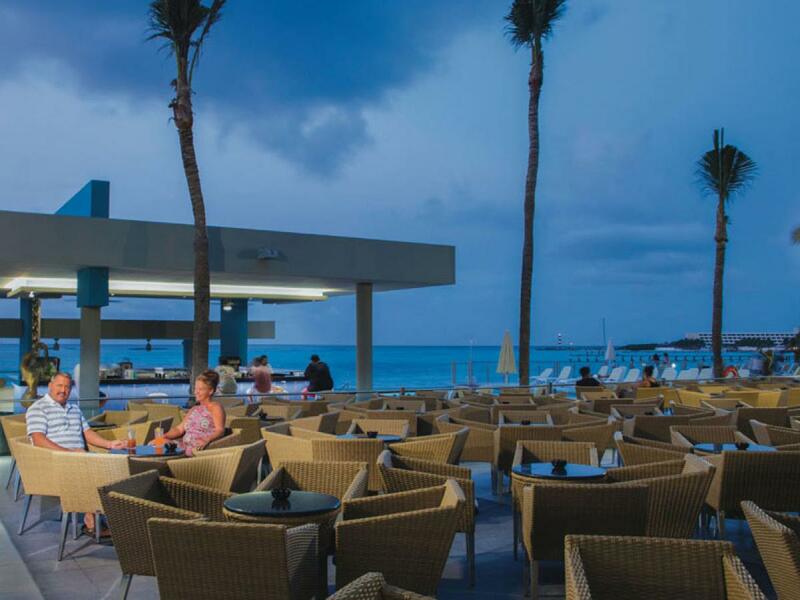 The tourist area also has many shops, bars, restaurants, cafés, clubs and terraces where you’ll find lively night-life and a good atmosphere. Relax with ocean views from your private balcony or terrace. 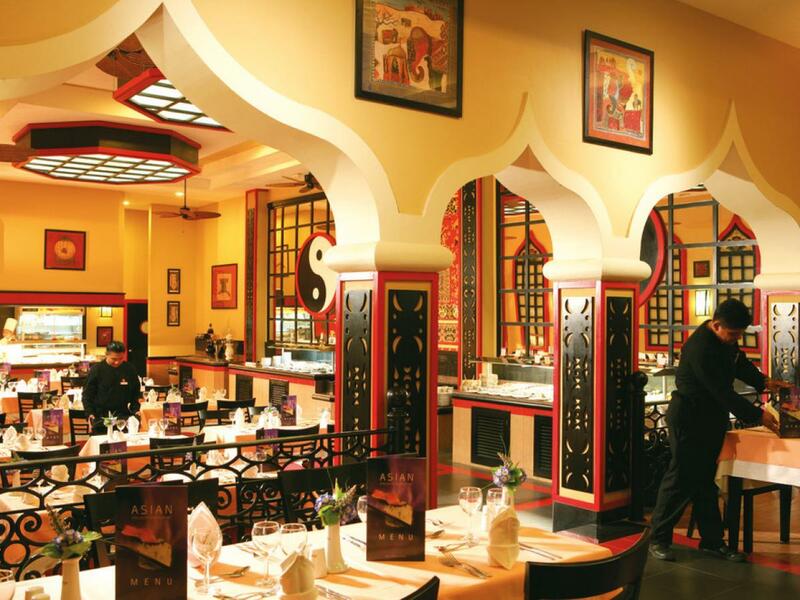 A la carte and buffet starters and deserts. 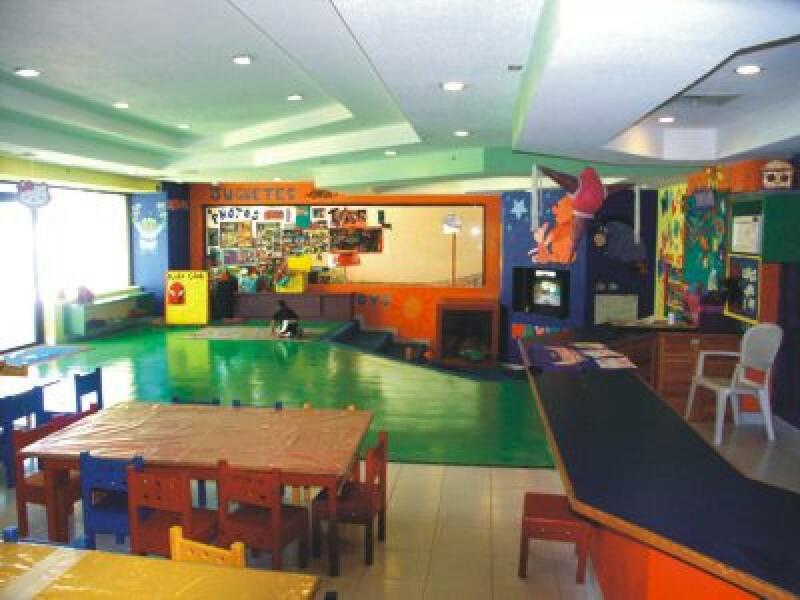 Breakfast from 7:00 am to 1:30 am. Lunch from 12:30 pm to 3:00 pm. 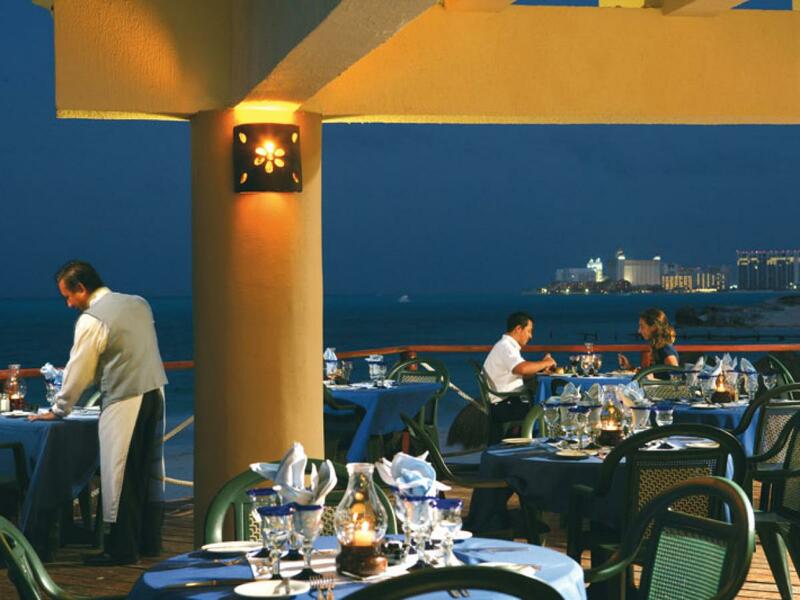 Dinner from 6:00 pm to 10:00 pm. 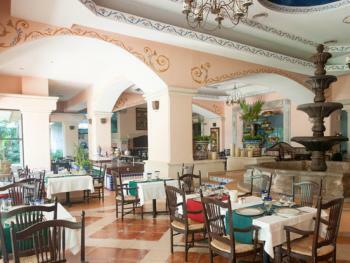 Buffet with national and international cuisine. 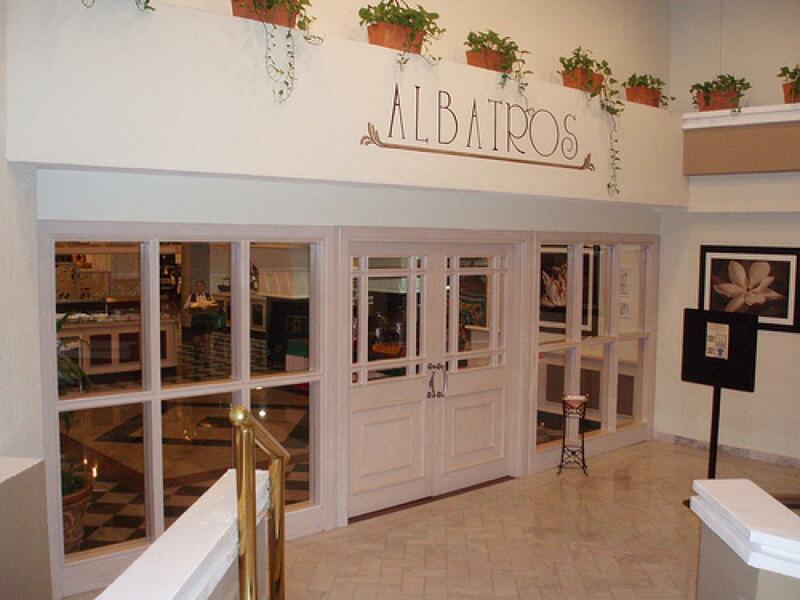 Themed buffet twice a week.